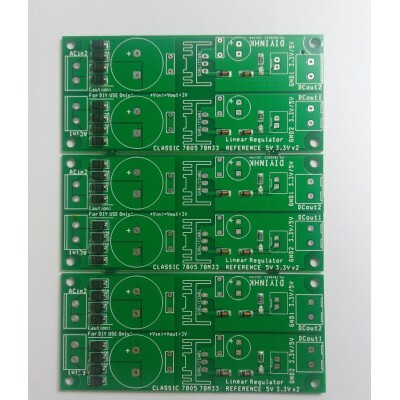 Output protection diode is also included on the PCB. Each rail include four 1A 1N4007 diode in full bridge recifier configuration for AC input. Other 78xx voltage option such as LM7812 LM7815 can also be used, but the current limit resistor of the output LED must be also increased.